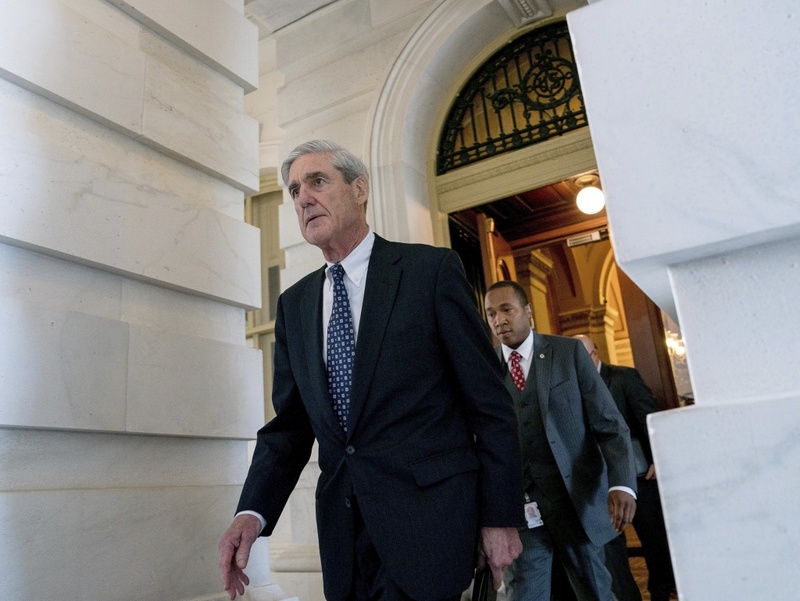 Former FBI Director Robert Mueller, the special counsel probing Russian interference in the 2016 election, departs Capitol Hill in Washington, in June 2017. Although the Times reports that Mueller "did not say that he was giving up on an interview altogether." The Associated Press, reporting separately citing a person familiar with the letter, said Mueller's office "indicated it would later assess what additional information it needs from the president, leaving open the possibility that Mueller's team might still seek answers on obstruction-related questions in an in-person interview."